Until St. Patrick’s Day, the year 2016 for many Montserratians had been like a ‘Garden Party’, politically. The first part of the year was welcoming with greetings of all sorts and laughter. Yes, for the first months of 2016 Montserrat was like a rhythm, a mere political cadence. But since then dear ole Montserrat, my old fashioned isle, has erupted into a carnival of sorts. It is now a politician’s carnival, a bacchanal, a jump -up, a dance and ‘prance-up’ with pitch forks and brooms. It is now becoming a frenzied politician’s carnival. And you really can’t stop their carnival Your Excellency. No! So do not try to stop it; because we Montserratians love it so. Although it is carnival come out of season, we dearly love a jump-up festival or political. Your Excellency, just observe the show from your windows on the street side; be aware though that you can’t dance our dance, you can’t prance our prance, and you can’t jump-up ‘as yet’. So see the show for what it is; and it is just a politician’s festival whose time has come. But note this, so far neither the masquerade drum nor the woo-woo drum has been sounded; however, they might be on full display before this festival of political positioning is over. Your Excellency, you are working here because Montserrat is one of the many stations in your life’s journey. But Montserrat is just a mere blip on the journey of a reincarnated soul. Do not be distracted; stay focused on your mission. If you are here to reform the civil service and to improve governance, please carry out your mission to the best of your ability. Be consistent, the Montserrat Reporter will support you. The Montserrat Reporter has been the recorder and reporter of events like this one over the years. The entire prance-up and dance-up events have petered out into nothingness, just a minister dismissed or resigned. And so too, this episode will pass; they all do. Every one of your predecessors has tried to improve the Montserrat situation; and no doubt you too will try to assist and alleviate the situation. If you review the writings in The Montserrat Reporter since the onset of the volcano you will see that Montserrat was offered all the help, advice and encouragement necessary to be on the high road to recovery. Yea, take a little time out and read some of the past newspapers. You will see that as early as November 3rd 1995 the Montserrat Reporter in an article ‘Self- preservation with an active volcano’ offered solutions and begged the politicians not to cause Montserratians to be scattered around the world. Again in 1996, The Montserrat Reporter offered further solutions to the volcano situation in two articles. One published on June 14th, titled ‘Lands in the North, What now?’ and the other on July 19th titled ‘Now is the Time’. Similarly, the expatriate community offered help and advice. And of course Her Majesty’s government support cannot be measured or discounted. But we love being in a disaster; although we cannot manage disasters. And now in the year 2016, still struggling with same problems of 1997, we have become frenzied in a politicians bacchanal over ‘financial, air and sea secretary, accesses. Oh Montserrat, my ole fashioned isle, now is the time for intelligent Montserrations to come together as one to find workable solutions. Your Excellency, stay focused. Our politicians are in heat; they are in frenzy and …even I love it. I truly love them when they are like this. And I trust that The Montserrat Reporter will record this moment in our history. A bacchanal … a bacchanal, a politician’s carnival, you really can’t stop it Lizzie Girl. And Beth, The Montserrat Reporter looks to you for good leadership all the time. And with great expectations we say thank you. Bettie, Your Excellency, in the mean time and between jump-up time I beg of you, please ask somebody to allow me to get at least one ripe banana to purchase and to eat a day …on this island paradise called Montserrat. I really cannot understand how I can purchase at Ashok a kiwi fruit grown in New Zealand but I cannot purchase a ripe banana grown down the Isle in St. Vincent. And again, about the air and sea financial access secretary thing… Liz’beth, don’t stop their damn carnival; ley dem jump-up; let dem prance-up. This bacchanal will only stop when de prm- mea fire wan e min is ta dem. This is how it happens on Montserrat. It is our political thing and Don too must do his thing. He must fire one! This culture started in the seventies. Austin fired John. John fired Johnny. Reuben fired David, or so he said. Bertrand fired Reuben. David fired Austin…and now Donald must fire Wan; or else Bull frog smoke his pipe. He must fire one! Fit for purpose, the caption for this article is taken for Her Excellency Elizabeth’s Christmas Epistle to Montserratians, and published in the Montserrat Reporter 2015 Christmas Edition. It is line one-o-one of the message. Mmm; it was a very interesting observation by Her Majesty Elizabeth’s representative to Montserrat. Very apt! Worthy expression! It is demanding of comment too. Seriously, is Montserrat fit for purpose? If so, then why is it that I cannot get one once of ripe banana to purchase in the shops? Hmm; any day of the year a shopper can purchase a pound of ripe bananas in Helsinki or Moscow, in Iceland or Japan, in St. Kitts or Anguilla … but not here on tropical island paradise Montserrat. Certainly, the Honorable Parson whose ministry is responsible for banning this necessary and important food item from the ports of Montserrat is not fit for purpose. If he had allowed a few pounds into Port Little Bay, it might have prevented the ‘ole thief’ from cutting my bunch of bananas at Manjack on Christmas –eve. Arrh ya yaeye, Montserrat! Your Excellency Elizabeth, I am truly interested in your thoughts about this fitness of purpose thing; but I humbly suggest that you seek to unravel the mindset of Montserratians before you single out any segment of the public service. In fact, the attitude of our security personnel and the entire public service is the manifestation of the collective mindset of Montserratians that was objectified by the last general elections. We are in our state of consciousness. So if you really want to deal with the matter, then start at the leadership level. Yes the level of the politicians, start up there. Their purpose is skewed towards salary and pension(especially so within the last 15 years); and they are very fit about that too. Consider this. The first Premier’s last significant act was to engineer legislation to ensure that he will receive additional pension benefits based on his house allowance. And not to be outdone, the first significant act of the present Premier was to increase his house allowance. Therefore if the Premier vacates office next month he will receive annually, salary based pension of $77,000 plus housing allowance pension of $45,000.00. This means that over the next 22 years, if he lives, he will receive non-contributory salary based pension of almost $2 million plus $1 million tax free housing allowance pension from Her Majesty’s treasury. That is fitness of purpose Your Excellency! And you are aware, of course, that UK Parliamentarians will not receive any pension on their housing allowances and they must contribute over 7% of their salary towards their pension. But that is not so on Montserrat eh. Hmm! Your Excellency, please be very careful with this ‘fit for purpose’ thing. Montserrat is special. Our state of consciousness, our unwritten motto is ‘conservative individualism’, for want of a better term, if I may use that term to encapsulate our beliefs and desires. And if expressed another way, it is this. ‘When it comes to contributing fairly to the running of Montserrat we are very unfit for purpose, individually’. Deliberately, Your Excellency, I am taking you on a tour of the tax corridor now; I hope that your belt is fastened. A few years ago Her Majesty’s Government approved a project called, for want of a better expression, ‘tax negotiation’. It was not a success. And I am almost certain that those taxpayers who benefitted most from that project are now eight (8) years behind with their tax compliance. Now hear this. Montserrat is fit and ready again, for the purpose of more tax write-offs. This is ‘fit for purpose’ Montserrat style. Your Excellency, I believe your purpose here is to ensure that Her Majesty’s government receives a fair ‘Return on Investment’ (ROI). Then it must be heart breaking for you to see the $200 million investment at Little Bay used as a boat trailer park. And worst, the sore eye, as one leaves the port area he is welcomed with a display of dried coconut stalks. Yea, this is another glaring specimen for you to investigate the fitness of purpose with respect to the tourism product. Yes, $200 million of Her Majesty’s taxes in investment and not one dollar collected in revenue as a return on that investment. This brings me to the investment in the abattoir. The Parson, the Minister of Lands proclaimed that it is an investment of over $3 million. A modest return on that investment should yield not less that 3%. But will the abattoir be subsidized by Her Majesty’s tax dollars again? It should not be; because it can be a very profitable enterprise. Believe this; over the past five years more than 7,500 animals were taken from the unsafe zone and slaughtered. Yes, 7,500 animals or more have been taken; an average of 30 sheep, goats, pigs and cattle each week will total more than that in five years. And there are many more animals in the exclusion zone, therefore the abattoir should be a fit for purpose endeavor; but will it be? The unsafe zone which is teeming with wild animals should be incorporated into the activities of the abattoir to create a viable enterprise. And if managed properly such an enterprise could create employment for about 100 persons. There can be catchers of the animals who will bring them to holding areas. There can be feeders and transporters. Then there will be butchers and refrigeration mechanics, and still employment for clerical and management staff. And most importantly Montserrat should be exporting every week (organic fed) hundreds of pounds of ground beef, pork and mutton to the islands. Here is some advice that can create a successful ‘fit for purpose’ enterprise. The running of the abattoir should be outsourced as a statutory body. Similarly, though in hindsight, the cleaners and the school bus operations should have been managed as statutory corporations. The statutory types of organizations have proven their worth on Montserrat. They allow for capacity building, growth and sustainable employment; consider the success of Montserrat Electricity Services, the Port Authority, Social Security and the Stamp Bureau. They are great training ground for board directors. And the final word: Your Excellency, it is the collective thoughts or mindset of Montserratians that determines our fitness for purpose; and our collective thoughts are objectified in the quality of the political leadership. I beg you therefore to extend your purpose beyond that of administrative management. Of course, Montserrat will present you with peculiar challenges, for a country that prevents its people from eating the humble ripe banana… is really not fit for purpose. We are indeed in our state of consciousness, Montserrat style. Thank you Ma’am! You have read this article to here, you are fit; and you will reach there. In fact you are already there; the contents of your Christmas message and your subsequent press conference have absolved you of any unfitness for purpose. Best wishes Your Excellency! Best wishes. And welcome! Posted on 19 June 2015. Last month my best friend died in Tortola and I wanted to be at her funeral. It was a natural emotion. Yet I decided not to go to her funeral; because I refused to pay to the government of Antigua the taxes that it would have collected from the price of my airline ticket to and from Tortola. I, the taxman, was shocked to learn the amount of tax , me, a resident Montserratian have to pay to the government of Antigua each time I purchased an airline ticket. I was made aware of the tax when, as if to make fun of me and my favorite subject, Julian Margetson of Runaway Travel informed me that the ticket from Montserrat to Tortola and back would cost $2300.00; and of that amount, the government of Antigua would be paid $311.17 in taxes. Wow! Waaow! Julian assured me that the government of Montserrat would not receive a penny in taxes from the price of that airline ticket. 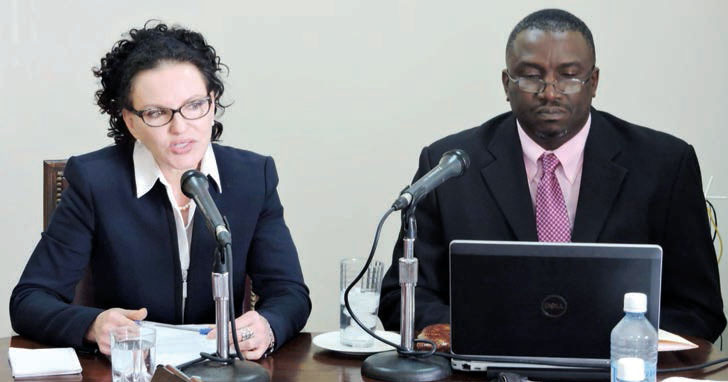 Montserrat would however receive the departure tax of $35.00. Additionally, Fly Montserrat would not pay $1.00 in tax on the profit made on the airline ticket. Wow! Fly Montserrat set its prices; and I suppose that their pricing is competitive enough for the company to achieve a profit. And no matter how much profit Fly Montserrat make, it will not pay any tax for another five years. That is a god blessed company. Last year around Christmas or thereabout, I was at the Western Union. I went there to collect my neighbor’s allowance from her daughter in the UK. I stood in line for more than 90 minutes waiting my turn. And I saw it for myself. Prostitutes were shipping out loads of money. They earned it. They set their prices and collected. But not one cent of their income was paid into the Treasury as income tax. The other day, I heard it for myself; the Minister of Education offered to provide five specially trained teachers for the children of Spanish speaking residents. Mind you, I lament not! But it was the agriculturist Claude Brown, who on his weekly radio program lamented, “Oh Garm, just give us one teacher for agriculture”. In my most recent article on taxation, I hinted to Governor Davis that school children cannot write a simple sentence on taxation. Although the article was not directed to the Minister of Agriculture, he in a comment on the article intimated that the Man from Baker Hill does not understand ‘foreign direct investment’. Anyway, never mind him. Just consider this. It is really nice here! Yes, despite the politicians, it is truly nice. And every day I am so happy to celebrate another day of life and living on a place called Montserrat. But sometimes I forget to acknowledge the mere pittance that I pay for the privilege to share with others the social and economic space of Montserrat. That mere pittance which I pay is called taxation. I do not know if taxation is written into the Montserrat Constitution; but I know that there is an unwritten social contract which requires residents of Montserrat to pay direct and indirect taxes for the niceness of Montserrat and the services enjoyed. And I, yes I, am prepared to pay those taxes as long as I live; I shall pay them whether I am rich or poor and even in sickness and death. Yes it is really nice here, on Montserrat! And the systems of tax laws are very fair. The Laws require residents to pay according to their income, basically. The more you get from Montserrat, the more tax you will pay. The more food you purchase at the supermarkets, the more taxes you pay. If you have the most land and the biggest house, you will pay the most in property taxes. If you buy the most expensive car or truck, you will pay the most in customs duty. The more money you earn, the more tax you will pay. A very fair system indeed; but there are issues of compliance. Oh Gord, this rock, Montserrat truly nice! This niceness comes from our quality of life. It is peaceful here. The children from whence they come get good schooling. The services are excellent; those provided by the church; and those which are provided by the SantoJacaMese. And for all other kinds and conditions of services, especially the most costly from the ladies of the night and days too, I am really grateful. This article is captioned Prices, profits and income tax. But what is the relationship among prices, profits and income taxes? It is that relationship, which is the issue of this article. The relationship is taxation, that’s all! That’s it; once a person receives an income in Montserrat or from Montserrat, that person is subject to a charge of income tax. The laws of Montserrat stipulate that there will be a charge of income tax on gains or profits from any employment, trade, profession or vocation accruing in or derived from Montserrat. But unfortunately there is the issue of compliance. The Law uses the words profits or gains; and profits or gains come from the price that is charged for a thing. It does not matter whether that thing is a drink of rum, or the fees the doctors charge, or the fee the lawyer charge, or the fare you pay to the bus driver, or the price you pay for the newspaper or the wad of money you pay to the ladies of the night. The Law also allows for the provider of that thing to include in the price all his costs and his expenses plus a little something for his profit. It is on this little something, the profit or gain, which income taxes are charged according to law. On the matter of employment and the wages of the employee, it is not easy to determine profits from the price of services paid to the employee; so the law does not consider profits in order to tax employees and individuals. For example, an employee will be allowed a ‘basic part’ of his salary tax free and then he is taxed on the balance. The average tax which an employee pays is about 20 cents of every dollar he earns above the ‘allowed basic part’. The Law is very strict on civil servants and other employees. This group of persons pays their taxes before they receive their payment. Under any circumstances 20 cents of every dollar you earn is a lot of money to pay for anything, even taxes. But it is the obligation under the unwritten social contract which is embodied into the income tax regulations of the Laws of Montserrat. So the employees pay it as they earn it; they have no other choice. With this group of persons there are no compliance issues. On the other hand, prices and profits are easily determined for persons carrying on trades. The trader supermarket operator knows his costs and his expenses, as well as his markup and hence could determine his profit or gain. It is on this profit or gain the trader is taxed. It is recognized that on every dollar worth of goods sold in the supermarket, 2 cents is to cover the required income tax. In other words 2 cents of every dollar you pay at the supermarket is the amount that the owner must pay as income tax; and the owner knows that too. He need not look to any other source for his income taxes. The consumer pays it! Therefore there should be no compliance issues; yet there is. Similarly, companies like Fly Montserrat, the sand miners and the truckers have hidden in their prices an element for income taxes. The law allows them to set their prices without hindrance and hence their profits are assured. Their customers are repaying them for every conceivable expense and for everything else, too. There is no need to give them tax concessions; and there is no reason for any compliance issue; but there is! Then there are the other groups of tax- paying residents living on Montserrat; I cannot wrap my mind around their prices, profits or gains. These are the categories of persons that fall among prostitutes, doctors and lawyers. I cannot visualize their costs and expenses. It will be interesting to find out from them, if is unreasonable to suggest that 10 cents of every dollar of their price is the hidden figure for income taxes. And if this is so, then there are no reasons for them to have compliance issues. The incomes of the prostitutes for sure are not even considered as a source of income tax. They have no compliance issues; they simply send it out the country through Western Union, tax freeeeeeee. I hope that you did not get lost in this maze of tax limericks; but if you did, you can re-read the article in small bites or at you leisure. Anyway, what I have been trying to show is that the mere civil servant is required to pay on average 20 cents of each dollar earned in direct income taxes; and he pays it. On the other hand the merchant trader collects 2 cents of every sales dollar for his share of taxes; but he will hire an accountant to avoid paying those 2 cents into the treasury. The prostitutes and the other professionals collect from their clients about 10 cents of each dollar for income taxes. Some take the whole ‘hairy thing to bank’ at Western Union; while the others have severe compliance issues. I see crises ahead! There is a taxation crisis; and our politicians bury their heads under the skirts of the Diaspora looking for direct foreign investment. Montserrat will have a taxation crisis before the next budget day if they do address the matter boldly. This tax thing might even become a Leadership crisis. Imagine Antigua collects over $300.00 in taxes on my airline ticket; Fly Montserrat charges a price that includes a profit but is forgiven its taxes; the prostitutes take all their gains to Western Union without paying any taxes. And my political leaders confuse us with words of ‘foreign direct investments’ and further befuddle our minds with their grandiose plans to provide special teachers for the children of Spanish residents who mostly western union us. And Oh God, Montserrations struggle to find agriculturalist to teach us how feed ourselves. Waaaowww! I wonder if Minister Hogan understands that Montserrat needs some more ‘local direct investment; namely, in tax education, agricultural teachers and in tax compliance education. And I wonder if the politicians are aware of or even understand the relationships of Prices, Profits and Income tax… and Western Union. Thank you for this heartfelt message. I agree that collecting all the tax that is due is an important objective for the Government of Montserrat. Under the Constitution it is the elected Government who has responsibility for economic policy. As Chairman of Cabinet I can express a view but I would not expect to overturn a Government decision. When these matters have come up in Cabinet, I have consistently suggested two things. Firstly, that the Government should be more aggressive in collecting tax arrears, and that the best way to stimulate compliance would be to take legal action against persistent offenders. Secondly, that when Cabinet agrees customs duties exemptions we should try to examine the long term impact i.e. will the short term loss of revenue be balanced by greater tax receipts in the medium to long term as these businesses develop. I think the Man from Baker Hill painted with a very wide brush, which is astutely mitigated by “when Cabinet agrees customs duties exemptions we should try to examine the long term impact i.e. will the short term loss of revenue be balanced by greater tax receipts in the medium to long term as these businesses develop.” There are other economic considerations such as the ‘import substitution’ case that supports our farmers; the consideration for small businesses that only maintain livelihoods and prevent people from falling into welfare; and for economic growth to happen ‘revenue foregone’ is only a measure of the minimum that needs to be recovered from foreign direct investment. We are really fortunate that our outgoing Governor Davis allowed us to use concessions to encourage FDI and inward investment, because without this instrument, DFIDism and Man from Baker Hill would bury us in taxology. Of course there’s need for a little more science and focus to our development policies so I welcome the appointment to the GoM of a Chief Economist. Let’s bear in mind that the Fiscal Incentives Act was passed to help us manage development through concessions and waivers NOT to prevent, negate or obstruct progress. Assuming that tax laws are designed to be fair, it is the implementation of the law that is central to greater efficiency. Our politicians have sent mixed messages over the years that are tinged with a good dose of hypocrisy and deceit. Montserrat’s BIGGEST problem rests with a lack of central authority that has the capacity and the will to act legally and morally in every sphere of life. It is the reason why we have appalling institutional failures. As such by virtue of the leadership set every other authority buckles and disregards the duty to accountability and due processes. Taxes are a must and their compliance must not be questioned. There must be no room to allow tax breakers room to plead ridiculous claims. Firmness is required in executing this sacred duty of all of us. The MFBH must be commended for his steadfastness as an opinion maker in this regard. The late Haycene Ryan and himself made a formidable duo in giving due respect to this important cause. 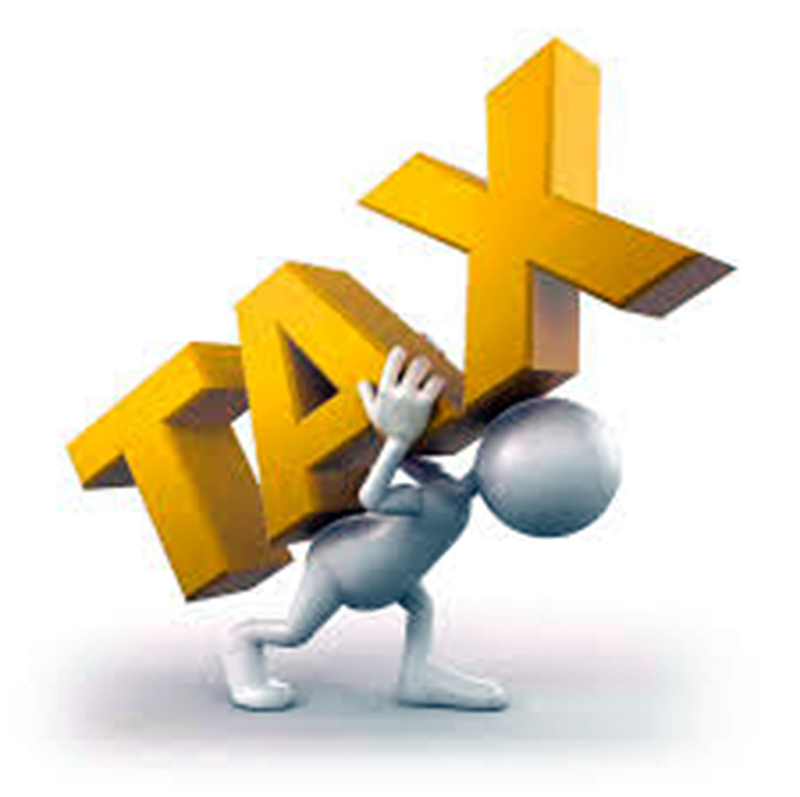 Tax collection requires a fixed and determined mind set. A tax collector ought to be friendless and live that way. He is married to the task of collecting the people’s revenue. He must be a special hired hand. Governor Davis’s excuse is plausible but not convincing. He has been what he has been: a total misfit and a man without presence. He came. He left. No positive mark in his foot print. Every act of his is devoid of a MIDAS TOUCH. Governor Davis will not enjoy his legacy when it is truthfully written and it is coming. And his questionable dalliance with a questionable politician that has extended his stay on island will be good fodder for future close watchers of ‘these governors’. Until we grow up and realize that governance requires guts and fortitude and a sense of fairness irrespective of the players involved, the welfare of this society will always be on skids. Against what background did he make this comment. He exposes his ignorance again. Clearly he doesn’t question anything he is told “in Cabinet”. Be prepared to tell us how many people ‘your beloved Cabinet’ took to court on this issue and categorise them; then tell us how many people took you and the government to court for unfair and unjust treatment in procurement etc. “Secondly, that when Cabinet agrees customs duties exemptions we should try to examine the long term impact…” Again you missed the point it seems Governor. Did you ensure that they ever tried to examine? There is at least a big number of concession given to a company that has cost Montserrat dearly. Did you know that the Concessions/Incentives committee did not approve that company for the very reasons Montserrat lost revenue and suffered at their hands. And, that you were still approving concessions about two days before the September 11 elections? Minister Hogan should explain this single tirade against DFID and Man from Baker Hill – DFIDism and taxology. It is obvious that he is well immersed in the ignorance as to exactly what his government has inherited re tax issues alone. It is someone else’s taxes that pays them 60 per cent of their salaries. He is bound to pay his share, as he has no choice. Could it be he is on that beneficial list that is causing DFID so many worries? Or is he beginning his opposition to making sure those well to do like former MDC CEO who illegally just walked away with thousands of taxes. Whatever your meaning or application of your taxology to MfBH, you obviously do not follow the Man from Baker HIll. The CEO left this country under your watch and it is the rest of us who will suffer the DFIDism you talk about..
A nicely aggressive Montserratian civil servant said to me. “Allen, allin what do you know about taxation….you are just an insurance man; I will arrange for the consultant to advise you”. Yes! Last week wan seavil survunt tel me… “MFBH, you’re jest an insurence man, I’m… I’m going to erraange for the cunseltent from Redonda to explain the Montserrat Tex cistem to you.”Man, a had was to use dee real ‘expletive’ wurd pan she; an den arse she foo delete um. Profanity! Yea, me jest wanted to get um arf ma chest … and into the TMR. I am an insurance man; but insurance is also about financial planning. And if I advise on financial planning, I must be versed on investments and annuities; and especially taxation. Surely, the records will show that over the past 20 years I have published over twenty articles on taxation and pensions. I am still angry. And you know what? I will continue to write in this angry tone of voice. But this time I will go to the top. I will go straight to Prime Minister David Cameron. I shall open a conversation to Governor Davis … on TAXATION. Governor Davis, thank you for sharing life and time with Montserrat! As you are aware, I am never invited to you press conferences, so let me talk to you before you depart Montserrat. We all know that you came here with grandiose plans and promises. By the way, my expertise is taxation and therefore, my talk to you will be on this subject. Please sit down Governor … and relax; you are going to be okay. Governor Davis, you are aware that Taxation is the PRICE TO LIVE ON MONTSERRAT and that fair Taxation is the PATHWAY TO NATIONAL PROSPERITY. Now do tell me. What have you achieved in the most important area of taxation? Mm…since you have arrived, there have been so much non- compliance in the tax system. What a mess with the tax write-offs and tax forgiveness. What will you tell your Prime Minister David Cameron about the way British tax-payers money is spent on Montserrat? Every year since you have been here, nearly $10 million dollars have been paid to politicians and retired civil servants in pension benefits. And not one dollar had been contributed by these pensioners and not one dollar had been deducted as taxes. This means that by the time David Cameron completes his new 5 year term in office, the pensioners of Montserrat will have received another $50 million dollars of British taxpayers money… non-contributory and tax freeeeee. Governor Davis, speak up! What will you tell the Prime Minister of the United Kingdom about the state of tax knowledge and understanding on Montserrat? Can you say that Montserrations understand the purposes of taxation? Can point out one student in the school system who can write a short sentence on DIRECT TAX, INDIRECT TAX, THE SYSTEM OF TAX LAWS, TAX COLLECTION, TAXABLE INCOME, PROPERTY TAX, COMPANY TAX OR INCOME TAX? Is there anything you will do to improve this situation? Governor Davis will you explain to Prime Minister David Cameron why so many S R & O’s were approved by the Cabinet and passed into Law during your time here? Please if you can, explain to him how you sat with the Ministers of Government and grinned while they forgave Fly Montserrat all the income tax it owed and waived income tax on Fly Montserrat for another 5 years. Will you tell the British Government that the civil servants bear the brunt of the tax burden in Montserrat? Do you realize, Governor, that they pay direct tax through salary deductions and again indirect tax through their purchases of goods and services from merchants and professionals? Mm…, Governor Davies, are you bold enough to tell Her Majesty’s Government that you failed in the area of Tax administration? The civil servants pay a burdensome tax on their income; but the professionals do not pay any tax on theirs. The contractors do not pay! The lawyers do not pay. The doctors do not pay; the architects do not pay; the bar owners and shop-keepers do not pay. The merchants collect the tax in their sale prices but they too do not report all their profit; so more than 50% of our taxes collected by the merchants are retained by them. Governor, do you recognize the categories of persons who were forgiven their income taxes or who received 100% tax write-offs? Governor, I understand that you brought an Income tax advisor to Montserrat. Have you sent him out on the trail? Did he walk Wall to Wall with the truckers and the sand mining operators? Mm…! Every day I see Montserrat’s pseudo trillionaire walking the trails from Brades to nowhere. He poses as a crime fighter, disguised as a flutist and a fife-man; Edgar, Edgar is his name. Governor Davis, has anyone from the Inland Revenue Department checked this guy’s income status? Do they have a file on him? He must have patents on his ‘fifes’. And patents means income. I hope that the tax man has informed him that as a resident of Montserrat he has to declare his world wide income to the Inland Revenue. We must not let him get away. And Governor Davis, did you notice that not one politician mentioned the word TAXATION during the 2014 political campaign? Yet the first major act in the new Legislative Assembly was the passing of nearly 100 SR&O’s to waive custom duties, our major source of taxes. By the way, did you report that anomaly to the UK government? Well… if you have not, you had better begin to consider an amendment to your handover report. Tell Prime Minister David Cameron to repeal the Montserrat Income Tax Act and to impose a new system of tax laws comparable to that which is in use in the UK. Tell him how our governments have suspended the inclusion of tax on investment income. Let the UK government introduce inheritance Taxes to Montserrat; but give a three year moratorium for persons to transfer their properties to their children. Tell Prime Minister Cameron to put real teeth in the Regulations so that the Controller could send Tax inspectors into the bars, corner shops, bread shops, supermarkets, contractors’ offices, and into the offices of professionals and the self employed. Tell the Prime Minister to ensure that the new Tax Regulations have real gold teeth in it, so that residents can go to jail for non-payment of income taxes. Tell the UK Prime Minister about an awkward people called Montserrations who gave a license to refugees to operate the most lucrative service business, the supermarket business. Tell him that the refugees never before paid income or property taxes on Montserrat; yet the Legislative Assembly granted them the power to collect and retain, never to handover to the Treasury, millions of dollars of indirect tax hidden in their mark-up on the cost of purchases. Governor, taxation is essential to every nation; it is the unwritten social contract, whereby each resident agrees to give back to the nation a portion of that which he received from the economic space of that nation. Do you know that the tax rates could be cut in half if the persons who earn the most from the economic space contribute their fair tax share? On Montserrat there exists a very peculiar attitude to taxation that hinges on ignorance. But just as courtesy is the price for sharing the air with fellow human beings… so too is the payment of fair taxation; it is the very small price for enjoying the space of Montserrat. Thank you for reading… my talk. Governor Davis, Montserrat will miss you and Mrs. Davis. You and especially Mrs. Davis embraced Montserrat and Montserrations. Thank you, thank you! Taxation is the first Law of Nature; it is also a Law of God. It is the only means by which a community can respectfully take care of itself. And if we truly love Montserrat, God and our neighbors we must seek to understand taxation and to respect our system of Tax laws, absolutely. Yes! Love of Montserrat requires residents to take care of the island and to keep things right and clean. 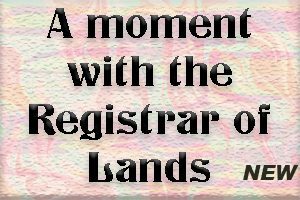 This ‘love of Montserrat thing’ embraces principles that demand each person living on Montserrat to become an honorable resident by a decision of his own will. 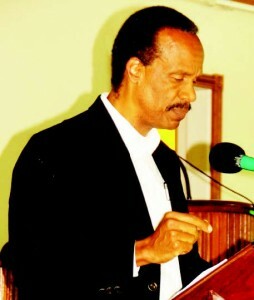 This’ love thing’ further requires that each resident should work with all others so that Montserrat is at peace, law abiding, and that the laws and regulations are of a well ordered structure; but more importantly, that residents of Montserrat comply with these laws and regulations, absolutely. Jesus said, ‘Love your neighbor as yourself”. Jesus also said, “Pay unto Caesar, that which is Caesar’s”. But what is Caesar? Symbolically, it is our community, it is Montserrat. And what is Caesar’s? Exactly, what was Jesus teaching about? He was educating the people about taxation; he reinforced that residents must pay taxes in order to maintain the dignity of their community. Jesus extolled citizens to be right with Caesar. And Montserratians have the right to be right… that is, to keep the rules on which our society depends; and also the right to assist to build a society for the good of all within the society. This is love of country, the love of Montserrat; it means to keep the rules. It is to help the widows and the fatherless. It is also to build and to protect the resources of Montserrat. The right to be right commands that each Montserratian pay his fair share of taxes for the common good; and allows us to create our own destiny. It therefore makes every man his own leader in the TAX REFORMATION PROCESS. Again, ‘Love of Montserrat’ means to take care of it and to pay back towards its maintenance a fair share of what the individual receives from that country… through the will and goodness of God. Taxation then, is akin to a Law of nature; as we receive oxygen from the air we give back carbon dioxide so as to participate in the balance of nature. Therefore in a country of the rich and the poor each individual must try, in every way he can, to help those in his community who are in need of help. We must give back! This is best accomplished through fair taxation. It is only through fair taxation and compliance with the tax laws of a country that love of country could be exemplified. To believe otherwise reflects a lack of intelligence and integrity. If one does not pay his fair share of taxation, he is false to his country. He is false to his world; and when this falsehood gets big enough we have chaos, ignorance and much more madness on Montserrat. But more importantly, major parts of our community are neglected. Montserrat will not be able to maintain its schools, hospital and nursing homes. I know that the rules of taxation were delivered to mankind through the Love of God. And I believe that the flames of fire and the abundance of ash from the crest of our ever awake ‘Soufriere Hill Mountains’ is a reminder of the importance of Taxation and the need to comply with the System of Tax Laws of Montserrat. I believe that it is the duty of every individual to keep the rules of human relationships in his country. Because when these rules are broken between man and society, there shall be madness. Fair taxation Laws are some of these rules; they were ordained by God to harmonize relationships among mankind. Therefore ones relationship with those around him can be no better than his religious life. Ones religious life is a direct ratio to his relationship with those around him…so fool yourself if you can! It is one thing to pay tithes or to spread joy; but it is also important to bring food to the mouths of those that are in need or who are hungry. These too, are acts of worship and evidence of love of God and Montserrat. Therefore to pray to God and then cheat your neighbor, of your contribution in taxes, is a very great and dangerous sacrilege. Now the essence of this article! Montserrat suffers. There is so much uncertainty, unfairness and skullduggery within our tax system on Montserrat that there seems to be lack of respect for the rules of taxation. Instead, there is so much legal breaking of the rules… so much waiver of taxation, so many waivers of customs duty and consumption tax. Montserrat suffers! The last election was won without a mention of the word Taxation. Yet in the last session of the Legislative Council in 2014 there were so many Resolutions passed to grant tax concessions (tax avoidance and tax evasions) to specially selected persons who might be friends of politicians. These were called SR&O’s; they are special certificates of approval to avoid and to evade taxes. Yet the persons who received those tax evasion certificates hardly ever submit accounting and financial statements to support their demands to avoid taxes; still they usually get through anyway. And if you were to search through the records of the Legislative council, you would notice that many of those persons who received the avoidance certificate previously received a tax forgiveness or tax write – off. Believe it, the records of the Legislative Council is replete with laws and resolutions to write – off taxes for politicians and friends of politicians. Finally, I challenge every Montserratian to explain why it was necessary to grant SR&O 24 0f 2014 to waive Income and Corporation Tax from 2014 to 2019 for Fly Montserrat limited. Why? Montserrat must become serious about its System of Tax Laws, the Laws of God, of Nature and of Goodness? Absolutely! Taxation is Goodness! Montserratians celebrate it! Protect it! Admire it! Then, slowly Montserrat will prosper and become a respected nation of good citizens. Posted on 19 December 2014. In 1997, former UK Member of Parliament Minister Claire Short declared that Montserratians will be looking for golden elephants out of the volcano. And some Montserratians believed that there really were elephants made of gold; so much so, that they embarked on a quest to secure one of their own. They never understood what Minister Short meant. It was how she said the words that confused us; and ultimately brought the curse on Montserrat. Some Montserratians still believe that British people’s hard earned tax dollars are to be lavished on a selected few. And that is very sad because it is the manifestation of a curse. However, luckily the British recognize the potency of the Minister Claire Short’s statement; and thank God that they did, because they are the only ones who could remove the curse. The situation at MDC and by extension Little Bay in the year 2014 is the just the tip of the Curse. Worse is still to come; there may be weeping and gnashing of teeth for messing with the white man’s money. Things could get worse than the Turks and Caicos situation. Nevertheless, Montserratians do not despair over the likely dismantling of the MDC. If it happens, then it is a necessary ritual in exorcising the curse of Lady Minister Claire Short. You see, MDC is where the money is stacked. And as long as there is loads of money, there will be some people with great desire to get stacks of it to build their own little golden elephant. It is just the way life is… selfishness and greed, politically. But now that the British are back; they have raised our expectations for the proper redevelopment of Montserrat, especially Port Little Bay. So in the mean time, we sincerely ask that they redouble their effort to root out the imaginary golden elephant mentality from among us. And if one or two of us have to be temporarily put in jail, so be it. Yes, the British can’t leave us now. The Audit is not enough. Somebody must have heard the people’s lamentations about payments to equipment owners and truckers on twenty-nine hours a day leash and pensioners getting paid enough to hire half-a- dozen school –leaver’s . Oh no, do not leave us; absolve Claire Short. Find the Golden elephants. And if you can’t find them, let me help you. Everybody knows that I know a thing or two about removing curses and hexes. I do know a bit about … you know what I mean. I did not have to work in Haiti; but I worked in the Inland Revenue department. And I can show and tell how to rid Montserrat of the desire to become golden Elephants. Here is my free advice. Let loose the Inland Revenue Tax Collectors into the payment records of the MDC. Allow them to trail every payment to the payee’s tax return. Yes, Premier Romeo, you are Don the man in the Van now, follow the British. You too, can’t stop now. You must set in motion a forensic tax investigation into the payments made by MDC and have it completed before budget day 2015. 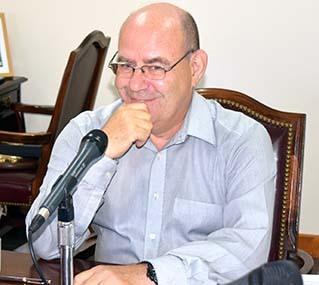 Premier Romeo, I heard you on OECS News Link lamenting about lack of resources to get Montserrat moving. Show the British that you mean well. Send your tax collectors into the payment records of the MDC now. Do not wait on the British to tell you to do so. You told the world that people are still in shelters and that you need 400 more houses. You have to help yourself first. But if you have a problem I can help. I went to Haiti once, and I will go again if you want me to refresh my mystical and forensic tax tentacles. Like the good old Gun Smoke, I have ‘Tax Gun’; I will travel and work too. There will be no problem, the British already knock down the MDC door; so we can walk right in and take the records for tax purposes. And do not forget, Premier Romeo, the British have the tax arrears matter on the agenda to be be resolved before Budget day 2015. They want the list of names and the criteria for writing off the tax arrears. Again, do not despair: I will deal with that too! All these things and much, much more are part of the ritual to rid Montserrat of the curse of Claire Short and the Golden Elephants. Have faith Montserratians, I will be there! They said, just come! And yet again, another Christmas, Montserratians returning home are held up in Antigua. And Chee Sus Cris Mus! What about the purpose built ferry? How come we are still struggling to decide on the location for the ferry to berth? After all, the sea has been rough at every bay around Montserrat at Christmastime for a million years. Cheese Sus! The rough seas are no excuse for our awkwardness. Nineteen years of British assistance and one thousand million dollars of British aid, yet Montserrat cannot show one sustainable revenue earning enterprise that has arisen out all that aid. No wonder returning Montserratians will have to ‘doc up’ in Antigua, every Christmas. We will still say ‘jus come’, anyway. As far back as 1997 Mr. She Eel laughingly proclaimed that despite the Whiteman’s prodding Montserratians cannot decide or agree on what they want. Now in 2014 we are at it again. We want a brand new Little Bay. None of the new Legislators cares about the 19 years of hard work that went on before they even contemplated running for political office. Oh my! It seems as if every elected politician has a personal vision for Little Bay; and every government wants to design and build their own jetty. But when will it be? Oh my! It has been said that if you teach a man to fish, he should seek to understand fishing so as to be able to fish for himself. And if you teach a man to fish and then give him a fishing boat, he ought to be able to make some sort of income out of fishing. So if the British gave One Billion dollars in aid to rebuild volcano ravaged Montserrat economically and socially, how come we are struggling to get back on tract? The British even designed a port and offered to build it for us. Oh my! Why do we struggle so much with ourselves? We struggle, because our politicians have a ‘just come’ mentality. Cheese Sus, the new Legislators seem not to have any respect for the expectations of the people who elected them. It as if they will not recognize the energy that has gone into the past nineteen years of rebuilding, especially by the British. And worse yet, it is as if over the years the new Legislators never paid attention to the discussions and debates of Legislative Assembly. And Oh My! The rumors’ are abounding. Yes! Rumors too, just come. But it must not be true that the New Government want an original hospital, or an old ‘Piper’s pond, or a brand new school and a new board of directors to build the jetty at the other port. No, they are just rumors; so I will not believe what I am hearing. But what I do know is this. Montserrat is facing some very tough times ahead; and this ‘Just Come’ mentality will not work. This island needs some very serious economic leadership. It is time for Montserrat to fish for itself. It is high time for the one hundred million dollars spent at Little Bay to show economic returns. Cheese Sus, so many projects over the last nineteen years, almost one thousand million dollars worth; and we cannot boast that any one of them can generate half-a- million dollars in sustainable income annually. Again rumors! But I wonder if Montserrat has not gone beyond talk of shelters. That issue was effectively dealt with in 1995 when the management of the Montserrat Reporter Limited discussed That donation set the stage for the family units which, throughout the years, dotted the landscape from Frith’s to Drummonds. Check the November 1995 issue of the Montserrat Reporter for more details of the Manjack shelters. Cheese Sus, the campaign is over. Montserrat must desist from talks about shelters. Instead, Montserrat needs an economic action plan befitting a people who have been taught how to fish. Every Government department has at least half-a-dozen university graduates among its staff. We must give them the opportunities to show their metal; set them loose on the economic action plans to turn some of the heavily financed projects into sustainable income generating enterprises. Let us look at the fishing boat project MV Little Bay. Little Bay’s true economic cost is around $1000 per square foot. This real estate must be used to create economic activity. It is an economic waste to use it as a recreation centre for schools and cricket fields or sports complex; Little Bay is to stop Montserrat from begging for fish. The Monies spent at Little Bay by the British is, putting it mildly, to ‘teach a man to fish and give him a boat’; so that he can fish for himself and stop squandering and begging other people’s tax money. Similarly, the economic value for Piper’s Pond, as it is now, exceeds $20,000 per square foot. And any attempt to sell any of these properties by the square feet will be heavily subsidizing the buyer and robbing the people of Montserrat of their means to fish for themselves and to derive sustainable economic returns. So clearly, the new leadership style for 2015 must be different. But Cheese Sus Cris Mus! It is Christmas time. We must take time out to frolic. However, as soon as the New Year starts, Montserrat must begin to examine or to re-examine each project past, present and future to test its ability to contribute towards our economic viability and sustainability. Therefore we must prioritize so as not to dissipate our energies; and we must seek to enhance our economic journey by learning to generate income from the British and European Union developmental aid. Again, Montserrat needs a very different type of leadership to take it forward and away from the ‘just come’ change the whole board political approach. Montserrat needs a leadership style that will embrace and use the best that is in all of us and for all of us. Premier Romeo, Montserrat requires much more than your political team. Pay attention and listen; do not scrap every project that the previous government secured for Montserratians. Do not throw away the bath pan with the dirty water. We are all here to help you grow Montserrat; just come! I am not concerned about the dictionary meaning of the word…nationalism. For me, nationalism is about understanding how to build a nation called Montserrat on fairness and equity; it is to want every Montserratians to stand out… to do well. Nationalism is that each of us must pay his fair share of income tax to Montserrat. Nationalism is to enhance our environment so that each of us can act out his or her role on Montserrat in goodness, safety and love. It is also about Montserrat… character building, understanding, education, partnerships and leadership. Nationalism is more about understanding the purpose of living on Montserrat… than to seek to get from Montserrat the most of the means to live. In other words we must not confuse having plenty money with the purpose of living. Montserratians must love and believe in goodness, the law of God; so that in carrying out their adopted or agreed-to roles, goodness would seem to flow from their words and actions. They must engage one another in conversations about character building, partnerships and how to prepare the next generation to pay income tax in order to guarantee their future. This too seriously, is nationalism! Yes, by example, we must stand tall in the classroom named Montserrat and be able to educate, motivate one another so as create a culture of cleverness in each one of us; i.e., we must show willingness to pay and tell of the usefulness to pay income tax. Nationalism is also to preach and teach what makes a nation a nation. It is to understand how to create and build a nation. It is to understand the means from which a nation is built. It is to know that one of the means to build a nation is money and that a nation’s money in modern times can only arrive on the ships and planes of taxation, ours or some other nation. Yes taxation! Opponents of Nationalism, if there are any, must understand that taxation is the essence of nation building and its preservation. They must be reminded, at all times, that it is through a system of tax laws that Montserrat will grow, maintain itself, develop and take its place on earth. But let it be understood that it … the system of tax laws… also includes royalties from sand mining and geothermal energy, fees, fines, the sale of postage stamps, a portion of the revenues from the Port Authority and the utility company MUL. 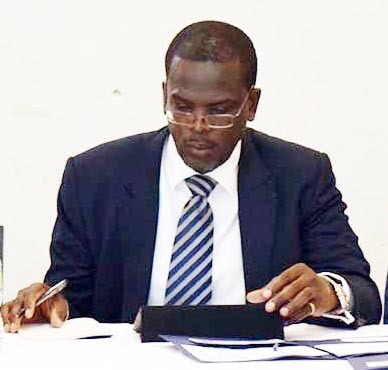 It is therefore imperative that Montserratian men and women understand their country’s system of tax laws and they must obey it in word and deed. They must teach it by example so that Montserratians will become a respectful people, each of us paying no less than his fair share of taxes. I am a nationalist. I want to see Montserrat and every Montserratian stand out and do well; but I expect each of us to pay our fair share of income tax, every time. Presently I am looking at the MDC Little Bay Project supported by DFID with many pieces of equipment being engaged on the project. Maybe $25 million will be spent on this project. And I wonder how much income tax will be deducted from payments to these equipment owners. We must not forget the embarrassment of our TAX ARREARS situation. Certainly, not less than 20% should be deducted from every payment; and if not, then our system of tax laws needs revising. Consider this, what nation that needs to drag itself upwards and outwards could afford to say to its citizens…you must put at least $15,000.00 in your pockets each year before you make a direct contribution to the nation’s healthcare, or your school children education, or police protection, or the maintenance of the roads we walk and drive on? Nationalism… must provide the answer to that question! Again, I am a nationalist. I want Montserrat to stand out, to do for self as much as it can. And I believe that the only way we can begin to achieve that…is to have our own money. I believe that money is a means to achieve the ultimate purpose of a nation. And I believe that a nation’s money must be gotten mostly from taxation. I also believe that taxation is the most important source of every nation’s money and that taxation is the essence of nation building. We must collect our taxes! But in the meantime, men and women of Montserrat must seek to understand goodness, the law of nature and God; … and they must lead by example; boldly paying income tax while carrying the torch of nationalism. It is Nationalism and taxation, belief in our ability to do for self, motivation and faith in the law of goodness that will work miracles for Montserrat. Clearly, Montserratians must begin to think seriously about our Laws of Taxation. We must seek to understand and to participate fully in these necessary laws. We must also live by example; so that our experiences will be virtual classrooms, especially in the area of income tax. This too is nationalism. My thoughts are with the family and loved ones of Lyra McKee, senselessly killed while doing her job as a journalist. This shocking attack is a reminder of the vital importance of protecting the Good Friday Agreement and Northern Ireland peace process.